Legends about the bravery and romance of the erstwhile royalty of Rajasthan has always been a major attraction amidst tourists from India and abroad. This royal state has several such destinations which have several tales to tell. Samode is one of them. A small but beautiful village is around 42 kms from Jaipur, when you travel by road to the Shekhawati region. 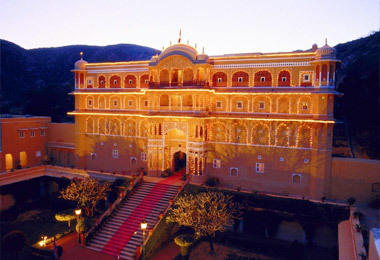 It is home to a number of magnificent palaces and forts. 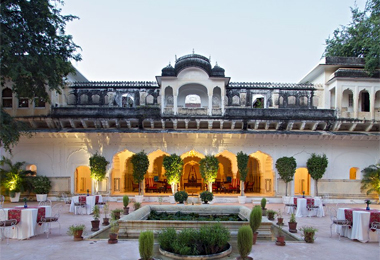 After the abolition of privy purses, when the generations of the royal family were not able to maintain these palatial properties, they converted them into Heritage Hotels in Samode. During your stay in these luxurious hotels, you can have a relaxing time away from the hustle-bustle of the city. Indulge in a camel ride while exploring the vast desert in front of you coupled with observing the traditional lifestyle of the residents. A major highlight of hotels is modern facilities coupled with impeccable hospitality and a royal experience. During your stay in Heritage Hotels in Samode, along with enjoying a memorable vacation, you can actually live like a king of the olden times. You can avail excellent personalized services. At Heritage Hotels of India, make an online booking easily by going to the hotel that you like.